As your business grows, whether you’re selling more volume or your business is built on high-volume sales such as B2B or wholesale operations, having accurate data in all the systems you sell becomes increasingly critical to a successful operation. As such, it can be valuable to evaluate tying some of your systems together, such as bridging your warehouse and its inventory information with your eCommerce sales channels. 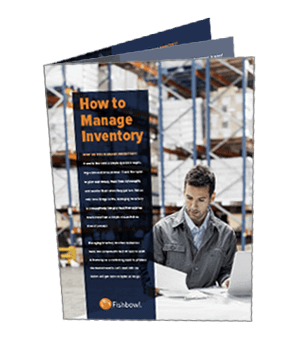 Linking inventory to be updated in real time can have not just operations benefits, but it can allow you to leverage the information for sales and marketing efforts. In this article we’ll explore both of those aspects, and how you as a merchant can best capitalize on connecting warehouses to where you sell. Inventory management at the warehouse level can have operational benefits, such as allowing for a more efficient organization of your warehouse and its operations, from where items are stored in your warehouse to smarter ordering decisions so you don’t buy too much or too little. But once you have the data in place, tying it into your eCommerce platforms and marketplaces can have additional operational improvements. A Single Source for Your Data: Entering data in multiple places increases the risk of errors, but also can lead to a system having outdated or simply incorrect information about what’s in stock or not, and how much. Underselling and overselling is an expensive mistake for businesses, both from a customer service and a sales point of view. Pulling inventory from your warehouse system on a regular basis and passing orders back when they’re placed speeds up the information flow and ensures all systems have an accurate, up-to-date picture. Sell Anywhere, Have Accurate Information: Nowadays, merchants sell in multiple places. Having the data flow in and out to your warehouse cleanly will ensure your channels don’t compete for inventory and end up overselling your merchandise. Better Order and Shipping Management: Inventory is step one; most inventory management systems can also provide critical support on orders and shipping. Whether it be communicating back to an eCommerce platform with tracking information or providing more organized pick tickets for better collection of merchandise to fulfill orders, an inventory management system today is a strong support system for your warehouse team, allowing it to be more efficient as business grows. Return Time to Your Staff: If you’re already managing your data in one place, why spend more time doing it again? As the number of products, orders, and shipments grows, you’ll just be spending more time doing something that can be easily integrated and automated. Your staff can reinvest that recovered time into other opportunities that further help the business. Better Data to Act Upon: Once you’ve removed errors and improved efficiency, you can leverage the more accurate and fresher data to make better business decisions. You can check where your inventory is running low for reorders, see where your sales are building, and figure out which items aren’t moving. As you get more data around sales patterns, you can even improve ordering optimization for how many items you should keep in the warehouse at different times of the year. Out of Stock Scenarios: If your eCommerce platform is getting timely alerts when items have gone out of stock, you can set up out of stock alerts so customers can sign up to find out when items come back in stock. This not only helps you drive customers back to your store, but it lets you see where the demand lies so you can order the right amount. Low Stock Scenarios: Some merchants will configure low stock alerts to display on product pages to drive a purchase since there’s a risk that the product will go out of stock soon, taking advantage of FOMO (Fear of Missing Out). Others will merchandise categories that show products that are low on stock as a marketing opportunity to drive more interest. Promotions for Poor Performers: With more accurate inventory data also comes better data around what’s selling and what’s not. Items taking up space in your warehouse can further drive down profitability. Leveraging that information to try to drive sales through promotions or other marketing efforts can help move inventory out to allow it to be replaced in the warehouse with more popular sellers. High Volume Opportunities: Many times merchants can benefit from better costs if they have an opportunity to improve volume. Optimizing sales through the techniques above could help determine where to put marketing muscle to get that extra bit of volume that leads to cost savings. The phrase “work smarter, not harder” is a bit of a cliché, but it is important to evaluate business operations periodically to make sure you’re making the most of your efforts. 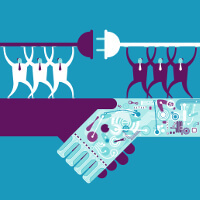 If you’re growing and find yourself spending more time passing data between the systems you use, integration can be a key step forward for your business. Josh O’Connell is Vice President of Partnerships at Zoey, a modern, B2B-focused eCommerce platform. Josh has worn a variety of hats in the eCommerce field over two decades working online from developer to running a Web development agency, and he loves sharing his knowledge with others. When not working at Zoey, Josh enjoys travel, attending concerts, reading, and solving Sudoku.